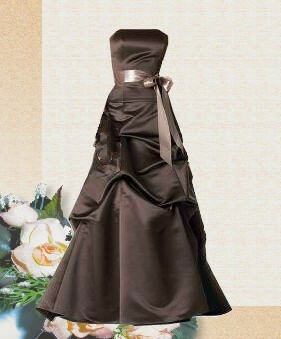 Wedding party dresses, bridal bridesmaid dresses, bridal party dresses. Visualize it and it can be Yours. 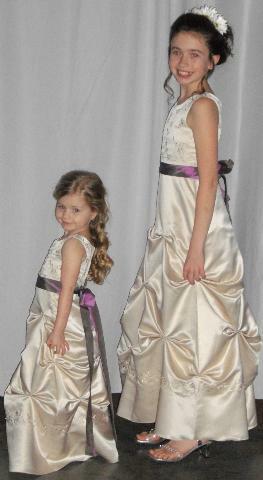 Picture any dress on this page in the custom fabric and color of your choice, knee length, tea length or floor length. Go for BOLD, or soft pastel colors. Make it taffeta for the iridescent glow, chiffon for a free flowing dance. Add Beaded embellishments, embroidered lace, sequins... follow your Dreams, and make your Special Occasion Perfect. Fashion a style that is Perfect for you. Don't like the ruffle, remove it. Want different sleeves, add them. Want to Combine Dresses, go for it. Use your imagination and Design the Best Dress Ever. Whether it's a family portrait, a holiday visit or a music recital, our luxurious dresses are the perfect attire to make the moment magical. We will make the dress that you have your heart set on. Don't buy a dress you can get off the rack - CUSTOMIZE. Dress sizes can vary, Please check our size chart Standard Measurement chart prior to ordering. When it comes you choosing colors for your Wedding don’t be afraid to try something new. Be original and creative with your color schemes. Black and White Bridesmaid Dress with spaghetti straps. Girls custom sizes are available at an additional charge.